It’s no secret that women remain underrepresented in the fields of game design and development. Though women now outnumber men in game participation, that stat is not reflective in the games and animation industries which remain male-dominated. Women in the fields often struggle to make strong connections and advance their careers into creative and directing roles for a multitude of reasons. But there may be light at the end of the tunnel for aspiring game designers who happen to have two X chromosomes. Enter Moore College of Art and Design. The only women’s visual arts school in the country whose distinguished alumna include Adrienne Vittadini, Judith Joy Ross, and Pink, decided to turn its attention to the gender gap in games. In response to high demand from students and industry, the college launched its Animation & Game Arts BFA program (AGA) three years ago. Lead by faculty member Stephen Wood, the budding program is growing exponentially, piquing interest, and incubating the next generation of game designers and animators who may be less consumed with gender and more focused on sharing their own perspectives through the creation process. For our latest Q&A, we catch up with Stephen to learn more about Moore’s AGA offerings. 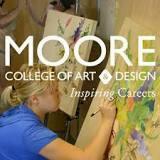 ACR: Stephen, Moore’s Animation & Game Arts program is still in its infancy but growing fast. Can you tell us about its genesis and what lured you to relocate to the east coast and lead the budding program? Stephen Wood: Moore started the Animation and Game Arts program (AGA) because there was a high demand from incoming students for a program that taught animation and game arts. I joined the AGA program at Moore because I believed it was a good opportunity to build a program from the ground up and avoid the pitfalls I have experienced at other institutions. Being on the ground floor of a program meant I got to start the program with all the newest software and ensure that the students always stay up to date with what is going on in the industry. We started with around 8 students and I was the only faculty member. Three years later, it has now grown to 30-40 students with 4 adjunct faculty and myself. The AGA program is on track to be one of the largest majors at Moore within the next three years and I want to see the program grow to be as big as it can. I would love for the Moore AGA program to be the program I hear students talk about on twitter or tumblr as their number one choice for animation and game arts. SW: Our first year students go through all of the fundamentals necessary to be successful artists. They take drawing courses, color theory, design concepts, art history, etc. We want all of the students to have a solid foundation before entering their major. Students can declare their major in their first year if they choose to but are not required to until the fall semester of their sophomore year. I think most AGA students know coming in that they want to do animation and games. AGA students tend to be very passionate about what they want to learn and they want to dive right into it. ACR: Once they declare their major, do AGA students tailor the curriculum around a particular area of interest? SW: Right now the curriculum is 50% animation and 50% game arts; in their senior year students have free range to take the skills they learn and apply it to their thesis projects in whatever way they choose. The skills the students learn in the AGA program cross over to both games and animation. They learn painting, animating, 3D modelling, 3D sculpting, texturing, rigging, and compositing which are skills they can utilize in either industry they choose to go into. AGA is all about teaching students the skills that will give them the widest range of opportunities to enter the industry. ACR: Speaking of, let’s talk about industry trends. Have game narrative and design shifted to accommodate the more bite-sized mobile platforms that people use today? SW: With mobile games, we’ve seen casual game sales skyrocket. Emerging markets like China are only making the mobile games industry bigger. However, as phones and tablets evolve and their processing power increases I think we will start to see more games that are narrative or target more serious gamers out there. We do cover mobile design in AGA and we focus on what the limitations are for mobile platforms, but every year those limitations become less and less. I think in a few years mobile design will be no different than other platforms. When I was a kid, all I could play was snake on my flip phone and now my students are playing Hearthstone or Pocket Morteys on theirs. ACR: You mentioned the explosive growth of games. With the expanding diversification of gamers around the globe, do you think game designers/developers must react to these new markets with a new approach or fresh ideas? SW: We discuss this in class and my students often think about. Since they are in an all-women’s animation and game art program, this is something that personally affects the students because they would like to see more representation in the industry and not only in games. However, I don’t push my students to react to it from the perspective of the market. If they want to have a game or animation that includes a diverse population, I fully support them and if they don’t I also support that. It is my personal stance that if I teach students that they must include diversity in their games to meet a trend in the market then I am teaching students to think of certain populations as a commodity, and I don’t think that is the best reason to include diversity in a game or animation. Instead, I want students to include more diversity in their games because they want to or have a passion to. ACR: How important is it to expose students to non-entertainment games and simulations for their future careers? SW: AGA is all about getting the students the most skills for the widest array of opportunities after they graduate. We do our best to expose students to anything and everything related to the skills they learn in class. A lot of students come in wanting to be the next Rebecca Sugar or the next lead character artist for Dragon Age, but I think it’s our responsibility to show them they can also work for museums, hospitals, ad agencies, educational institutions, industrial design, and all the other industries that student might not know about. ACR: Moore recently hosted its third annual Game Changers event that brings women in the industry of gaming to campus. Tell us a little about it and the take-aways you and your students get from it. SW: Student’s love Game Changers because they get to meet women who are actively working in the industry... often times these women are working on some of their favorite games. I think the biggest take-away the students get is a sense that “this is possible.” They also get to see that the women working in the video game industry are just like them which instills the sense that it is possible for them to do what they love after they graduate. They get to meet with the panelists the following day in the classroom for a Q&A and the students ask them all of their burning questions about portfolios, internships, and tips. For me, the biggest take-away is getting the students to make connections in the industry. Our panelists have always been very supportive of what we do here at Moore and they want to stay connected with the students so it’s a fantastic experience every year. ACR: From your perspective, do you think studying at an all-female school offers advantages for the young women in your program to excel in this still male-dominated field? SW: I think Moore offers an environment where women who want to learn animation and game arts can come without being tested by gatekeepers or having to prove they are ‘one of the guys.’ This gatekeeper mentality is something that I have seen at other institutions and is non-existent here at Moore. There are no students here who are challenging them to prove they are real gamers, nerds, otakus, or fans. Everyone here is only interested in learning, and I think it is amazing environment for students to study in. They also get to build a support group out of their cohort here so that once they do enter the industry and they do face those challenges they have their Moore women to always back them up. ACR: Last but not least, Moore’s home in Philadelphia has become a bit of a hotbed for game design. What’s the current landscape like in the city of brotherly love in terms of internships, work opportunities, networking, research, etc.? SW: The video game industry in Philly is growing and right now we have a lot of indie studios cropping up in and around the city. It is my hope that these studios will grow in the next few years and Philly will grow into the next Austin or Baltimore. The state also began the Pennsylvania Consortium on Video Games two years ago which is an organization that is funded by the state to help bring awareness to the video game industry in PA and to boost the development of the video game industry here. So not only is Philadelphia’s industry growing, but the state of Pennsylvania is invested in seeing the industry grow statewide.